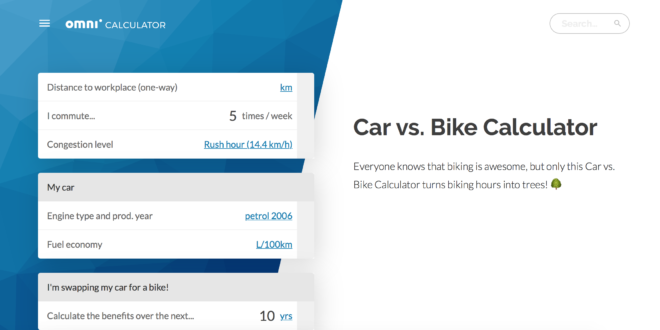 Poland-based Omni Calculator researcher Bogna Haponiuk has deigned and created a new web application that supposedly calculates the impact of choosing to cycle over other forms of transport. 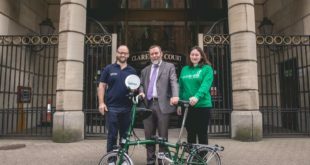 According to the application, which can be found here, the average UK commuter would add 405 days to their life expectancy by converting to cycling as their primary mode of commuting transport for ten years, which is the equivalent of 111 trees, or a reduction of 24,092kg of C02 emissions. 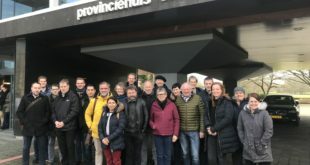 The data (which, as with all similar conversions, should be taken with a small pinch of salt) is based on various scientific research papers and data from European Environment Agency, Utrecht University, Australian Institute for Sensible Transport, Dutch Ministry of Infrastructure and the Environment and the Université de Lyon.